At the onset of his administration, President Muhammadu Buhari undertook plenty tasks including frequent trips abroad to market Nigeria and attract foreign investments. Somewhere along the line, he took ill and a cabal allegedly took over his government. 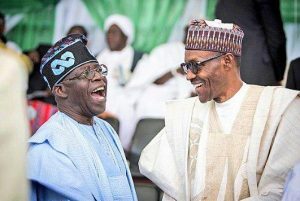 They were said to have connived with the nPDP elements to further alienate Asiwaju Ahmed Bola Tinubu who had already lost out in the NASS leadership. The feeling in Abuja then as I got to know was that Tinubu’s ambition to rule after Buhari had to be checked early in the day. That Asiwaju was the critical beacon of APC’s emergence as the ruling party is not debatable. What did he do? He retreated to do what he knows best, strategize! In the meantime, President Buhari spent weeks and even months abroad on treatment. While there the grapevine had it that some in the president’s inner circle were already positioning themselves in the succession hierarchy of a post-Buhari presidency. There were stories about how Vice President Yemi Osinbajo was being isolated. At one time he was allegedly prevented from signing the budget. However, as God will have it our dear President recovered fully and just before he got back the First Lady Aisha Buhari alerted us in a tweet about #HyenasAndJackals who will soon be chased away from the villa when the Lion King returns. President Buhari being a wise and taciturn old soldier must have keenly observed and heard many stories. There is no doubt that by now he knows those who are for him and those against him. Even though there are neither permanent friends nor enemies in politics, in power play when you crush your foes you better crush them completely! I believe that was why Buhari declared his re-election bid early so that the events of the past few weeks will expose the wolves in sheep’s clothing on time. Thereby providing the President with ample time to crush them. However, as important as that may appear, it is even more important for the president to identify the moles within for they are the ones that should be completely annihilated. That is politics for you and we should expect more drama in the coming weeks. 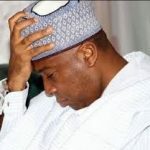 Previous article Why Saraki is scheming for 2023. Next article Igbos have too many golden eggs for one basket.